- Really wish I had splurged on a higher capacity drive, but felt it too expensive at the time. Pros: -Setup was as simply as can be. -Reliable. Has lasted 3 years so far and I'm running my system nearly 16hrs a day. -Fast. If you're coming from a standard HDD, prepare to enter the modern world. Cons: -It's full. I only use it for my OS but it's to the point where I've got 12GB free and I'm just not comfortable with that. Larger windows updates put my free space in the red every other month. Other Thoughts: I'd recommend going with at least the next size up even if you plan on using this for an OS drive. If possible, go with the 500GB drives, they're getting cheaper every day now that the crypto crazy is dying down. There should be some great deals this upcoming Black Friday. Even without sale, I can pickup the 500GB versions for what I paid. Pros: It's fast and it should last - DO NOT fill it up "all" the way, NO DRIVE likes that and SSD's with provisioning need that free space. When full it makes a massive disk/cpu load as it tries to shuffle things constantly - which will kill it much, much sooner obviously. Cons: You can only use the magic utility to optimize a non-RAID volume, basically a single drive as a simple volume. So if you use these in RAID you aren't TRIM-ing by default and who knows what that does long term to performance. Other Thoughts: I put 2 in raid 0 to test and sure enough the speeds are above 1GB/sec. As advertised. 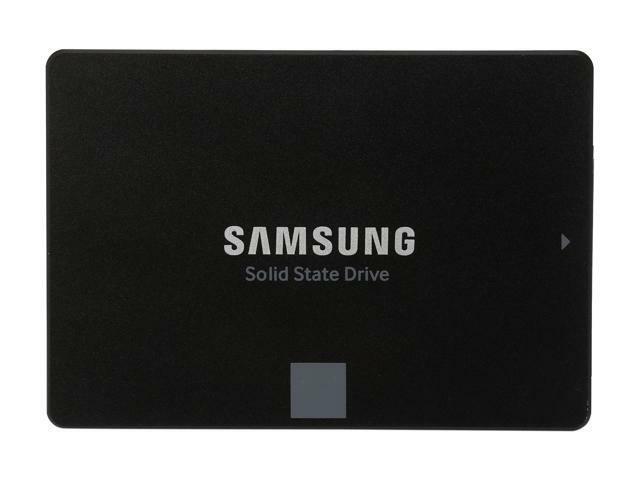 Pros: Great bandwidth read/write for affordable SSD. I use it primarily for O/S and games, storing non-essential stuff on HDD instead. Cons: - Died much too soon. For the money, I would expect this drive to last for years, not mere months. Very unfortunate.